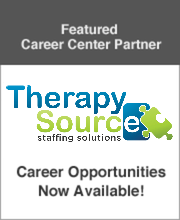 Do you want to work for a great company that cares about you and wants to find that special position where you can meet your full potential as a therapist? The Stepping Stones Group is currently interviewing Speech Language Pathologists for the 18/19 SY In Jacksonville, FL! We are interviewing Speech-Language Pathologist Clinical Fellows for our school-based openings for the 19/20 SY in Jacksonville, FL! CRA Therapy is currently seeking school-based Speech Language Pathologists for part and full-time positions in Pre-K, Elementary, Middle, and High Schools. Positions available for CF-SLPs and Clinical Fellow Supervisors (CF Supervisors) as well.